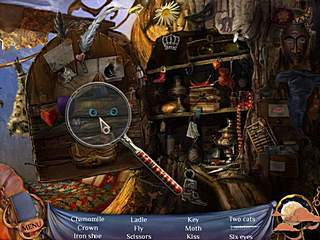 Today is Friday and all the fans of the adventure/hidden object genre know that this is the day when they most like are going to get something fresh to play. Nightmare Realm Collector's Edition is today's specialty. There is no story and then game. You are a part of the story. Nightmare Realm Collector's Edition turned out to be a really nice adventure wise game. The feature that totally loved about the game is how the gameplay is interwined with the story that unfold right before you. The words might not render the idea. There is no story and then game. You are a part of the story. The characters are talking to you, do some actions right there as you play. A big part of the game is animated, which creates a totally different feeling. Unfolding like that, the story just can't be told right away, so you will have to go a bit further and then a bit further in order to find out more details. Basicly you are introduced to a family with a seven year old girl. First off you see how they lose the father in a car accident, then you witness how the girl is being kidnapped by some dark force creature. You play as mom who is desperate about finding her daughter. You will have to do a lot of interaction with the objects and also characters. That part isn't very difficult as well as the rest of the game. The expert mode offers more of a challenge, but I would say that this was the biggest flaw here for me. 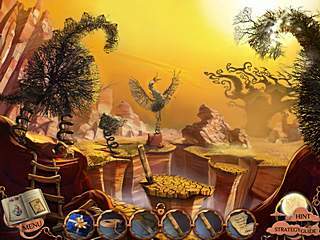 There are also different puzzles along the way and some hidden object levels. Those are pretty typical, and the more experiences gamers won't be surprized with anthing in there. One thing that can not be overlooked is the wonderful artwork. Your eyes will just have a great time playing the game. 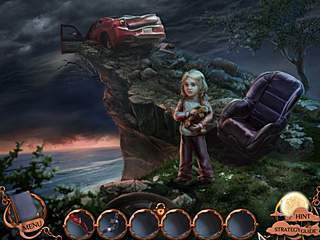 This is Nightmare Realm CE for Mac OC review. Download this game here.